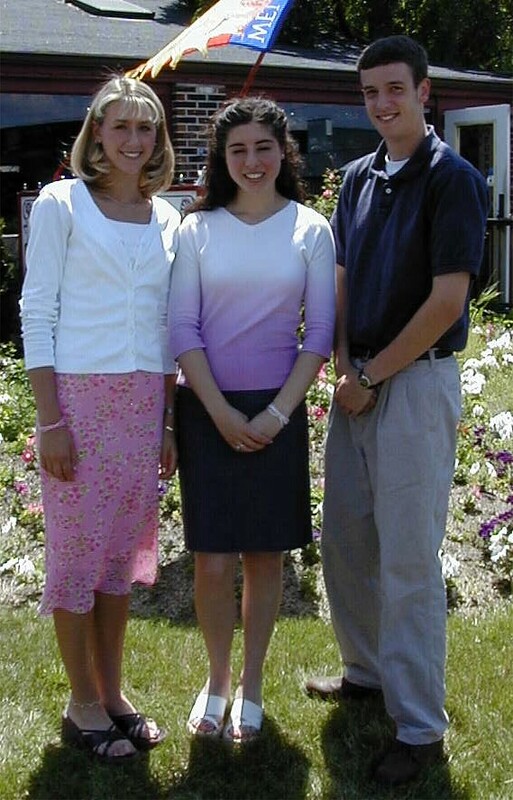 The 2001 Annual Scholarship Awards Brunch - held on Sunday, June 10, 2001 at One Front Street in Bethel - was another sell-out event! Following a delightful afternoon brunch, the Nino Vaghi Good Sportsmanship Award and the Bernard J. Dolan, Sr. and Arthur J. Mannion, Sr. memorial scholarships were presented to this year's recipients. 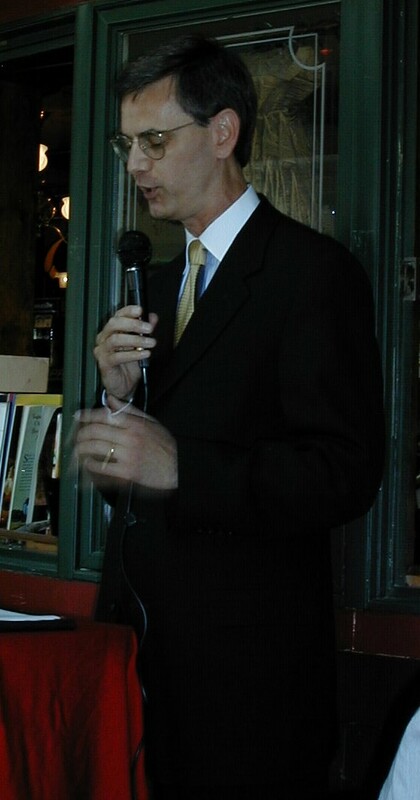 The event offered the opportunity to renew acquaintances with the 1998, 1999, and 2000 recipients of these scholarships who attended as Pavia Council guests. Dr. Joseph Gerics, Principal of Immaculate High School and a Pavia Council Brother Knight, gave a delightful and heartfelt keynote address. The 1998, 1999 and 2000 scholarship recipients joined this year's honorees at the brunch. 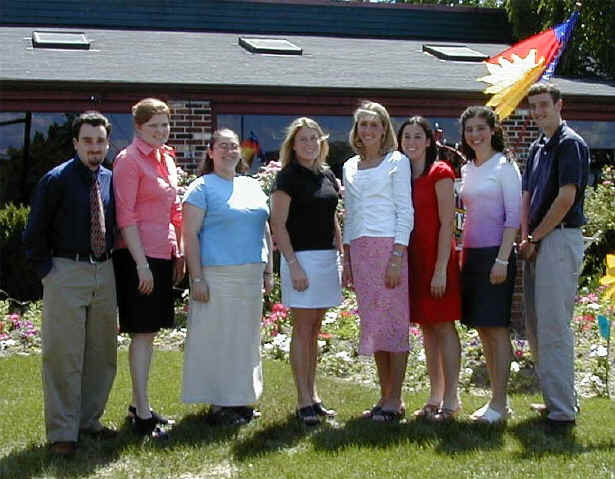 (l-r): Ryan Holmes (Dolan '99), Elizabeth Amend (Mannion '00), Kristin Nauheimer (Mannion '99), Heather Babington (Mannion '98), Sarah Wax (Dolan '01), Kathleen Vannucci (Dolan '00), Krista Constantino (Mannion '01), Stephen DiBenedetto (Vaghi '01). Christopher Raabe (Dolan '98) could not attend and was represented by his father, Tom.